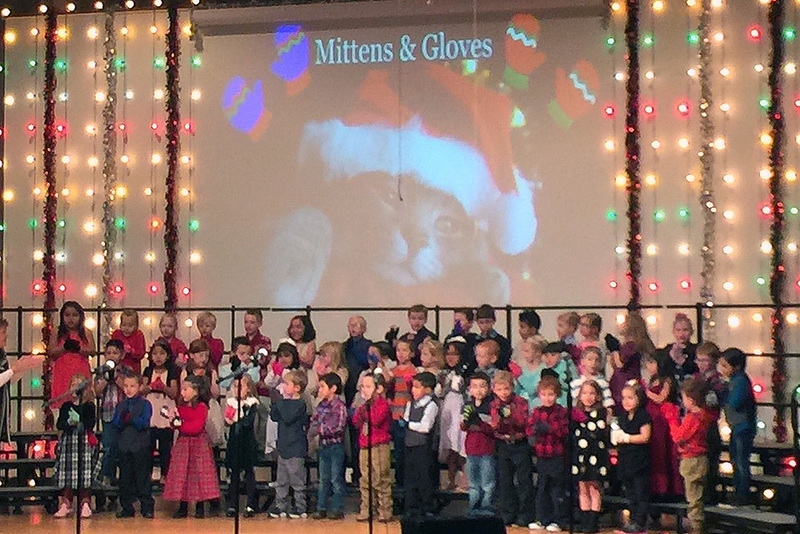 Kindergarten, Second and Fourth grades sang songs of Christmas cheer to a packed auditorium on Thursday December 8, 2017. 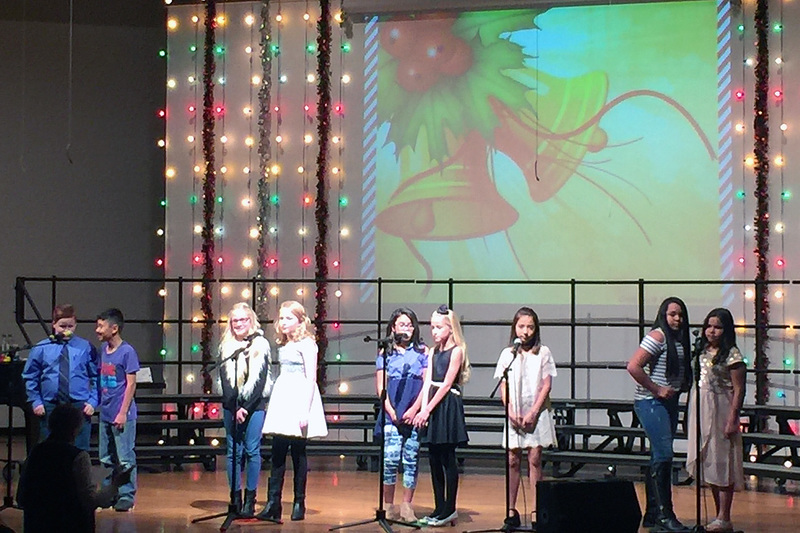 The performance opened with a lovely rendition of “Do You Hear” sung by an ensemble of fourth grade girls. Next, the kindergarten performed a variety of holiday songs and poems entertaining the crowd with their holiday enthusiasm. Their performance concluded with the song “I’m So Glad It’s Christmas” and their joyful expressions showed they believed every word. An ensemble of fourth grade girls and boys performed “Ringing, Ringing,” followed by Kinley Sporhase playing “Jingle Bells” on the Piano. Second graders opened with “Rhythm of the Season, “Red and Green,” and “Santa What a Guy.” Lia Sprague and Sadee Mosenteen shared a piano duet of “Oh, Come all Ye Faithful.” The second graders performance went on to include songs about the things they enjoy best about the holidays and they sung loud and clear for all to hear. 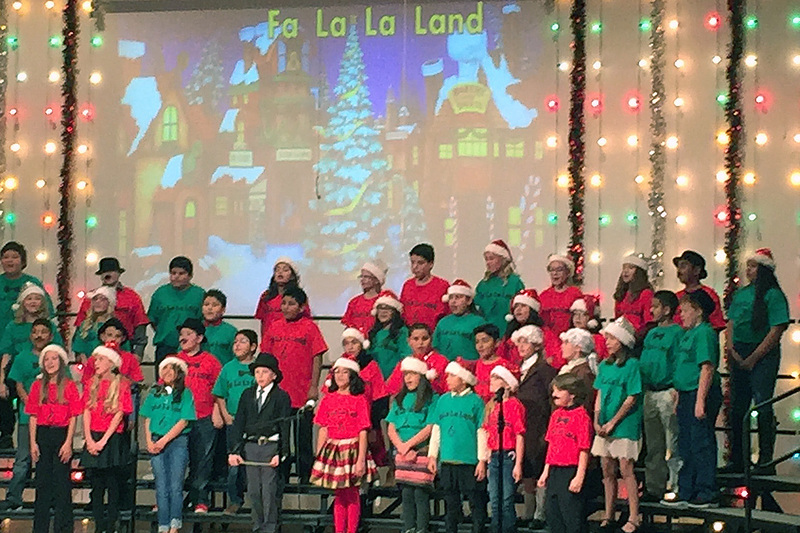 The Fourth graders performed the musical play “Fa-La-La-Land” about a musical place where songs come to life. In their performance, the characters overcame obstacles and learned to work together to write and perform a new holiday hit song. The fourth graders spoke their lines, belted out the songs and shared a variety of musical puns to keep the crowd entertained. Under the direction of Marcia Dalton the performance was a crowd pleasing presentation that left the audience entertained and chock-full of holiday cheer.